Ordering cheques in Vancouver has been made easy. 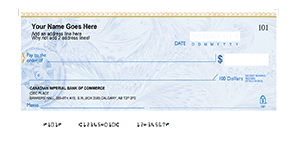 There is no need to go to a physical printing store to get your cheques printed out. With ChequesNow, you can order at your most convenient time. How is our ordering system different from the rest? Our site has user-friendly interface, with the order button on every page. You can navigate through every page with ease so if you do decide to order upon checking out what we have to offer, you can easily find the form and be directed to the right pages. 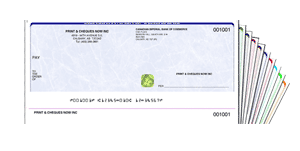 We supply manual and laser cheques to different places in Vancouver and we do it in a reliable manner. We offer next day shipping services for those who have urgent need for cheques. Our system also ensures that you will never run out of cheques ever again. Our re-order system allows you to use your previous order number and use that to order the same items automatically, in a recurring basis. 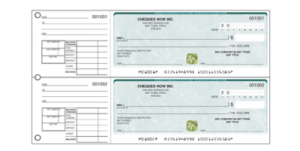 If you are not yet decided about which type of cheque to get for your business, our lines are always open. Call us and we will help you decide which cheque is a better fit for your business’ needs. Our customer service representatives will walk you through the correct process of finding the type of cheque that you can stick with for a long time. We will also help you out with the customization and design process. Our experts will make sure that the background and colors you choose are 100% CPA compliant and will represent your company’s colors well. Did you know that with the same amount of money you use to buy cheques, you can get 50% more manual cheques and 25% more laser cheques if you order them from ChequesNow? That is because our printing systems are more efficient and productive, which gives us a chance to print more cheques in one paper. Your Vancouver-based business will benefit from more products. Save money and save time, that is what ChequesNow will offer Vancouver business owners. Order at your convenience and have your cheques delivered to you on time.